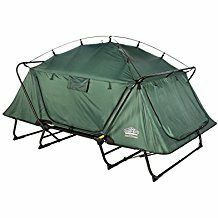 This page and the site in general are about best tent cots for camping. 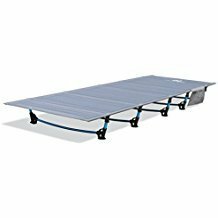 Recently, tent-cots and cots are becoming very popular and this for all good reasons: they are reliable, easy to use, and affordable. Read here more what a tent cot is, how it is used, and see all benefits of having one. Do you like the concept of tent cots? Tent-cots: with tents sitting on a cot. 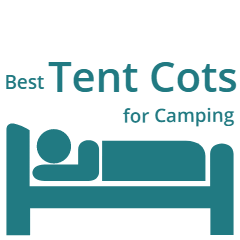 Cots: tools designed to be used inside a bigger tent. 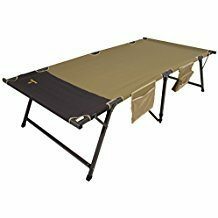 A tent cot is easy to set up on any terrain. These are free-standing tools. This means you can pitch it up anywhere, without thinking how to stake it to the ground. Easy to pack and store in the car. Sleeping off the ground requires less insulation beneath you. You can put it in the garden, on your terrace, on your flat roof if you have it, and then have a comfortable sleep when it is too hot in the house. Sleeping on a terrace sounds like something children would enjoy to do. Some of the models offer true 3-in-1 features. 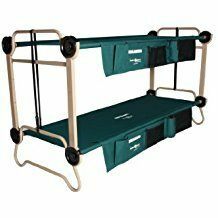 You can use the cot and the tent separately, or combined. So you have both: a backpacking & hiking tool to carry in your backpack, and you have a tool for a comfortable camping. This is a cot and tent, and a lounge chair when needed. You are an off-road adventurer? Then this is something for you. If you are a mountaineer, this is a tool to use to spend a night at high mountain passes with car access. Next morning you will be ready to go. Need a tent to carry in the backpack? No problem: detach it from the cot base and you have it. It is a great item to have if you go fishing and hunting. This is a tool to have in case of emergency situations, both as a tent or just as a cot. Tent cots are with a durable and sturdy construction. They offer full protection from elements. Tent cots are built in different sizes, single, double, oversize. 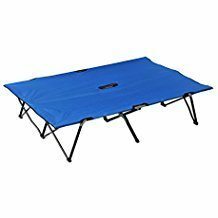 Above all, tent cots are affordable, see the prices and compare with what you would have to pay for a big tent that can accommodate a cot inside, plus a cot of course. You lose around 40 times more body heat to the soil than to the air. If you sleep on a rocky surface you lose some 55 times more heat to the ground than to the air. So you have to invest in a good pad with a high R value, and they are expensive. This reduces the usual dampness considerably. This saves you from many insects. Have you ever tried sleeping on the ground? If yes then you know: it is not so comfortable. If you have to move and dismantle an ordinary tent after the rain, you know well that its floor is wet and dirty. With a tent cot this is different. Water goes away from it very easily, and the only points of contact with the ground are its bar-legs. So you will have it packed rather neat and clean. Fantastic website. 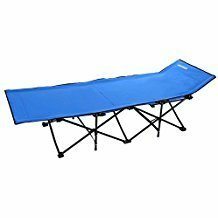 I was going to buy a regular tent again but have opted for a tent cot after stumbling upon besttentcotsforcamping.com. Just a comment maybe you could expand into car top tents as well? The market for them has grown in the past few years. 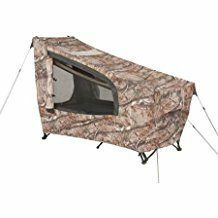 I am a backpacker and need something I can take with me on the trail but I know lots of people that have purchased or looked at purchasing the car top tents as it is a great option for camping without having to be on the ground. Many thanks Neil for such kind words, this means a lot to me. You are right about the car top tents, I also see them a lot on the Internet but not so much in the areas where I go, I do car camping and mountaineering most of the time. But yes, this is truly an off-ground sleeping. I shall consider it, all the best. Hi David, great to hear from you and to realize that you share my enthusiasm for these tools. I love the concept from the first moment I saw them. You have been sleeping in the tent so you can understand the advantages of sleeping off the ground. All the best to you. Thank you Robert, pity your comment was not under the reply to David, he might miss it. But your input here is really appreciated. I just bought 2 back packing cots and like them very much but had a problem with the leg to one of them I need to see if they are under warranty and get a new leg thanks Craig. Hi Craig, if you just received it then get in touch with the seller, they will help you. I am sure you can send them back. Jovo, well I wish I had known about these tent cots when I was in my wanderlust days. I hitchhiked around Australia and New Zealand carrying a pup tent. It weighed a lot more than the backpacking tent cots you have described here. My second tour in Australia I just carried a tarp and rope. I made a lean-to tent and floor out of this. But the possums kept walking along the rope and consequently caused lots of tent movement! I remember camping with the folks as children. One year it rained so hard we spent two days camping in the kitchen block. The rain didn’t let up so we went home. Shortest vacation ever. Off the ground tents would have been great. Great detail and options you have found. Thank you Helen, so great to read about your memories and experience. I was delighted when I first saw the tent cots. There are some who still think this is not necessary and it is heavy, but one can shed weight on something else and enjoy such a great tool. Many thanks again for the kind words. Wow, I never knew they made those little one person tents! 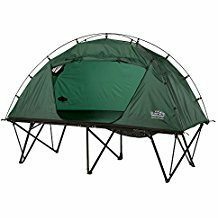 Me & my girlfriend are going camping in 2 weeks and these tents might work to help us save space! She is really small so I’m not worried about the size being made for one person! Thanks for the review. People like to take naps in afternoon + shade is not always available in afternoon + sleeping in a car (or next to a car) is like sleeping in an oven + people are buying smaller cars for camping (Suburu’s Outback is ALWAYS listed a best ‘fishmobile’) = need for a mylar sunfly that doesn’t crinkle each vesper of breeze. I use Skeeter beeters on the car windows but sleeping in the driver’s seat in hot weather is NOT restful. Neither is a space blanket over a solo tent. Is there a product/solution out there? I use a Helinox max cot to car camp year round (cuz I weigh 260lb; Length 82.7″/ 210cm Width 29.5″/ 75cm Height 6.3″/ 16cm ); about the same size as the Thermarest’s tent plus optional LuxuryLite Cot Sun Shield. Anyone try mix and matching the two and how did it work? Man, wouldn’t that just be perfect. You can see the method in my madness here cuz there is nothing better than a nap in the middle of the day on the road, trout fishing etc and being able to get an hour away from the burning heat (that scratch’s all these tents in the review) and bugs. But some people have rated the Thermarest cot low…argh, almost bought both…..what to do? My experiment this summer will be a large beach ‘sunbrella’ jury rigged with a skeeter net. maybe even try a solar fan or a small O2cool fan to move the air trapped under the fly. Alternatively, comments on your experience resting MIDDAY in one of these ovens above would be received with great interest. How do you stay comfortable in high summer when you can find a tree to park under? Thank you in advance. Hi Eno, great to read your thoughts. I understand well what you are talking about. In my case, this is about going high in the Alps, far above tree line. Last summer I was in the Italian Alps, you can read about this in my climbs of Tresero and Monte Sobretta. These are at the Gavia pass which is over 2600 meters above the sea. So after climbing all the day, I would give everything to get into a shade, but there isn’t any. I do not have a solution. Taking a nap in the car that has been all the day in the sun is impossible, the same is with the tent-cots. The situation is different after getting to valleys, but I tend to stay in the mountains for days. Sometimes, if I have any possibility to do this, I make some shelter similar to what you mentioned, a ‘sunbrella’ so that I can sit under it and prepare some meal. But most of the time this is not possible. So yes, I know what you are saying. Therm-a-Rest Sun Shield should be an option worth trying with the bug shelter and cot only, or even without the cot. This will be on my list for next summer. All the best. 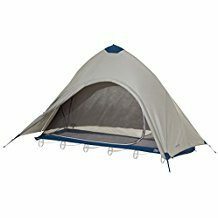 Thanks for introducing me to the Best Tent Cots For Camping! I have never seen a device quite like it, what an awesome invention. I have a younger brother that does do some camping and this would be right up his ally! I really appreciate the body science regarding heat loss etc. as well. Most welcome Gary, I was equally delighted with these tent cots when I saw them for the first time. As you rightly say, great invention. Thank you. This is a great and informative article! It’s amazing how much camping has changed since I was a kid. Who would have thought of a tent cot? What’s nice is that it is not on the ground. I can remember camping outside in the rain. Not a fun time and very uncomfortable. Quite a variety of tent cots. They must have been out for some time, but this is the first time I’ve heard of them. Thank you Kevin, your observations about these tent cots are true, nice tools in every sense. There is a lot of difference between off the ground and on the ground sleeping. Just think about dampness. I love these tools. Have you noticed a few that are completely portable, below 2.7 kg both the tent and cot, like the Therm-a-Rest tent cot? Simply unbelievable. I have just started to go camping a lot more frequently. I currently have a basic tent I use for me and the family. These tent cots sound really interesting, and something I am going to have to look into a bit more. Loved how detailed your article is and you have pretty much saved me a lot of time researching these. The Tent-Cot is awesome! I am very impressed. I do not camp myself, but my daughter is planning to take a month off of work and be dropped off at a remote location and she will have to hike back. It seems to me, the novice, that this would be wonderful for that. I just wonder how large it is when folded. Would it be too much to carry that long of a distance? Please let me know because I will get it for her if you agree that it would be a good gift! 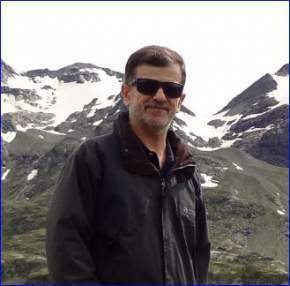 Hi Richard, thank you for visiting my site. To answer your question, most of the models are for camping with car access. Those are heavy to carry around. But there are several of them that have 3-in-1 feature. This means that you use it as a tent-cot in the camp, and then you can carry the tent alone if you go for hiking or mountaineering and plan to spend night there. 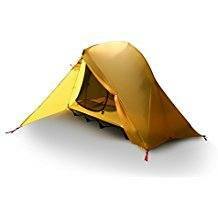 These are: Teton Sports Outfitter, Kamp Rite Compact collapsible, Kamp Rite Compact Tent Cot XL. 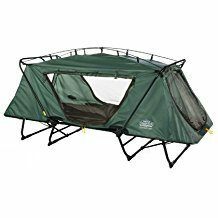 Completely unique is Thermarest cot tent. Here, you have both tent and cot with the weight below 2.7 kg. It is hard to believe, but have a look. This is something special, a great gift for sure. I like the concept of Tent Cots, setting up is so easy. You don’t need too much time and efforts to make it ready. Just a couple of minutes and you can use it. As I see materials are very good and suitable to use in our region where we have dusts most of the year and it is also very good during the raining season. I truly love this type of tent and I will be recommending it to my friends. Hey Ismaeel, it appears the rain fly is not so essential for you, but this tool will definitely save you from bugs and mosquitoes. Thank you for visiting my site. All the best to you. Love this TentCot… Setup is so easy. You won’t even need to get on your knees to do it. Only a couple of minutes and you can hit the sack! Haven’t utilized it outdoors yet I am certain it will be great. All the zippers on the screens and window flaps function as they should. Well made…. Loads of room and longer than my king size bed at home! My lone protest is not with the tent. The one in the Pic demonstrates the pressure bars on top going through a tube sleeve on top. The one I got has a few snare cuts that snap on the bars. I sort of like the look of the sleeve rather and that’s what I thought I would get. Generally, it’s the same oversize tent with a rainfly. Thank you Carlton, great to hear from you. You are right about tent cots, I was impressed when I saw them for the first time. So I understand you have one, I am sure you will enjoy it. All the best to you.